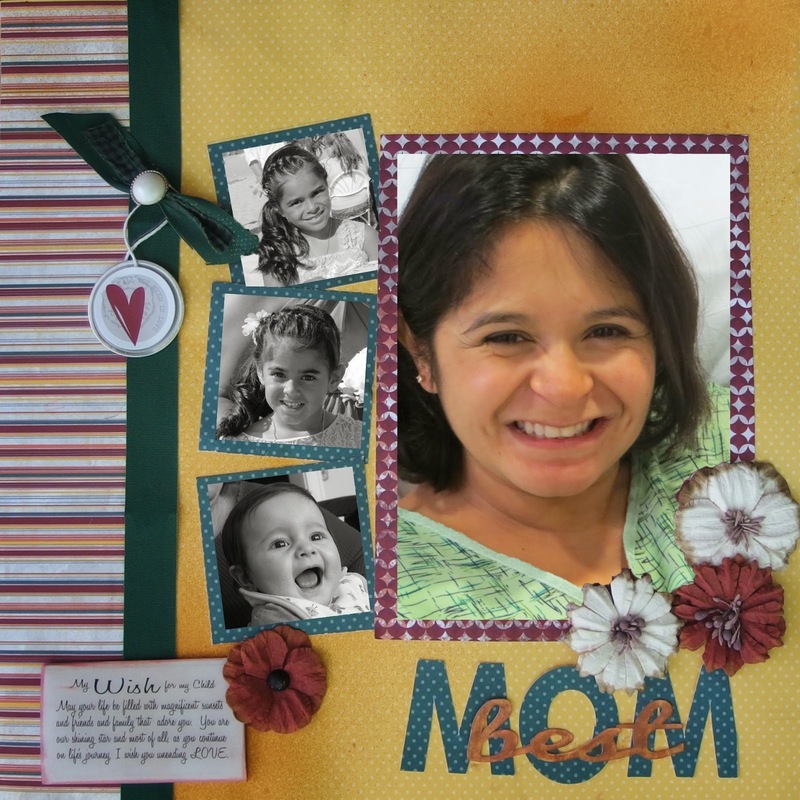 Here is a layout I did inspired by Mothers Day. The best mom I know is the mother of my grandchildren, my daughter! She has so much energy, and is such a good person, what better way to celebrate Mother's Day! If you don't have room for a title overlap your title like I did here. The center word "best" was cut from the yellow paper but thinking it blended too much with the background so I added PowderPuff Chalk Inks, a blend of Sunset and Mocha Mama to match the layout. A really beautiful quote from the Itty Bitty Quotes vellum pack. Thanks for stopping by and Happy Mothers Day! Donna, you layout is totally beautiful. I love the photos and how you express the happy faces. Hugs!